India is one of the most favored call center outsourcing destinations for organizations spread in US, UK, Europe and Australia. There are many factors which make it such a favorable place for outsourcing call center services. Indian call centers offer many benefits to their clients which are not offered by call centers located in any other part of the world. Availability Of Well Educated Professionals: India has a very strong and exhaustive education system which ensures that the talent that comes in the market is well educated and fit for different job roles. Maths, science and commerce are the main streams that are available for education in schools and colleges thus ensuring a regular flow of analytically strong candidates in the market. Low Labor Cost: The cost of hiring an employee in India is much lower than what organizations have to pay for hiring resources in developed countries. The lower labor cost makes it an ideal destination for outsourcing business activities. Organizations are able to acquire high quality call center services at very low cost in India. Favorable Government Policies: The government of India has created many policies that favor the organizations who wish to outsource their business processes in India. The whole process of outsourcing to India has been made easy and smooth for foreign organizations thus encouraging them to outsource more and more services in this country. Flexible Business Engagement Models: The call center companies in India offer highly flexible business engagement models to their foreign clients. As organizations don’t need same number of agents all round the year therefore these models allow them to increase or reduce the number of agents working on their process with ease. Infrastructure And Technological Capabilities: In last few decades, India has extensively accelerated the development of its infrastructure and technological capabilities. 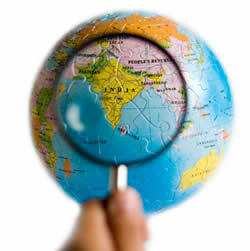 All the major cities in India have round the clock power supply and high speed internet facility. All the major metro cities have international airports which facilitates easy travel to and from other parts of the world. Many IT hubs and IT parks have also been developed to promote development of new businesses. Whether you want to outsource help desk support services, appointment scheduling services or any other call center service, you can outsource them all to a reputed Indian call center and be assured of receiving high quality solutions from them at very low cost. Posted in Call Center, Call Centers and tagged Indian call center, outsourcing call centers to india.